Keep what's hot hot and cool cool!!! 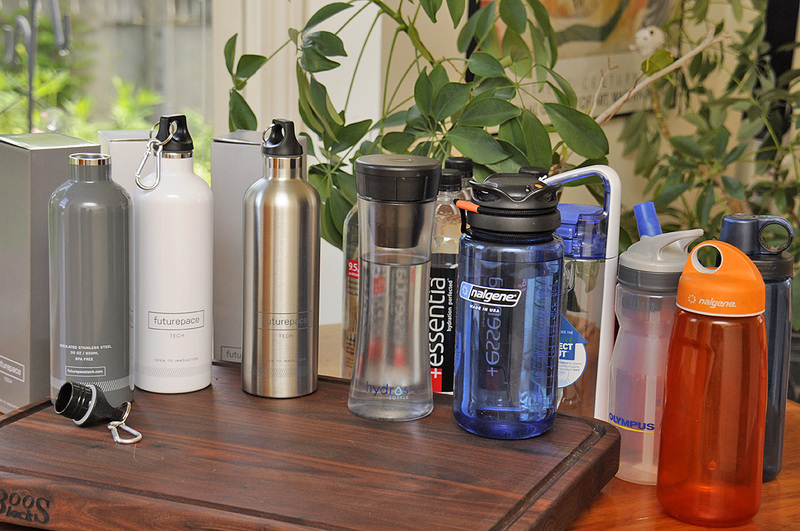 About five years back we did a series of articles on water purifiers, hydration packs, and water bottles. Some of them we don’t use any more, some only every so often, and a few almost all the time. For water purifiers, the under-the-sink Aqua-Pure filtration system turned out to work so well and be so convenient that we stopped using the stand-alone units (ZeroWater, Homedic, etc). For taking water with us, hydration packs (CamelBak, Nalgene) are good when we need to be hands-free but required a bit of maintenance and were less convenient compared to water bottles. We only use the paks if we don’t want anything banging around when we are on the move (like on bike trips). They remain on the equipment shelf most of the time. Hydros – Nice integrated filter, great for taking odd taste out of tap water. Nalgene – Wide-mouth, no leak screw on cap, easy to fill and carry. FireFly – Cap w/LED light for wide-mouth bottles. Makes for a nice lantern / emergency backup light. There are only so many “innovations” which can be made to a cylindrical container. Every once in a while, though, we get a suggestion which we find interesting enough to follow up. 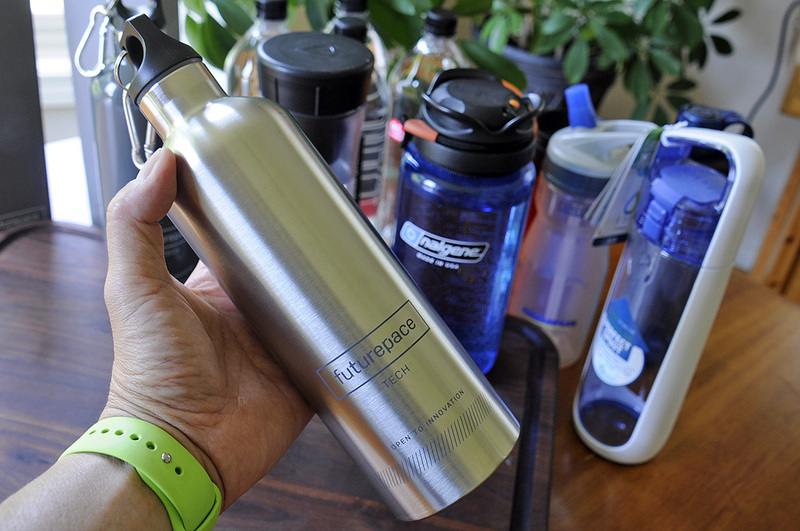 A “Thank You” goes to reader Angelika F. of Somerville (MA) for suggesting we check out what Futurepace Tech is offering in the “portable, individual hydration container” space. This particular bottle caught our attention because of its claim to be able to keep things cold for up to 24 hours and things hot for up to 8 hours. As all of our bottle had been plastic ones, we had never even considered the content’s temperature as something we could control. Of course, it is so obviously desirable to us now!!! 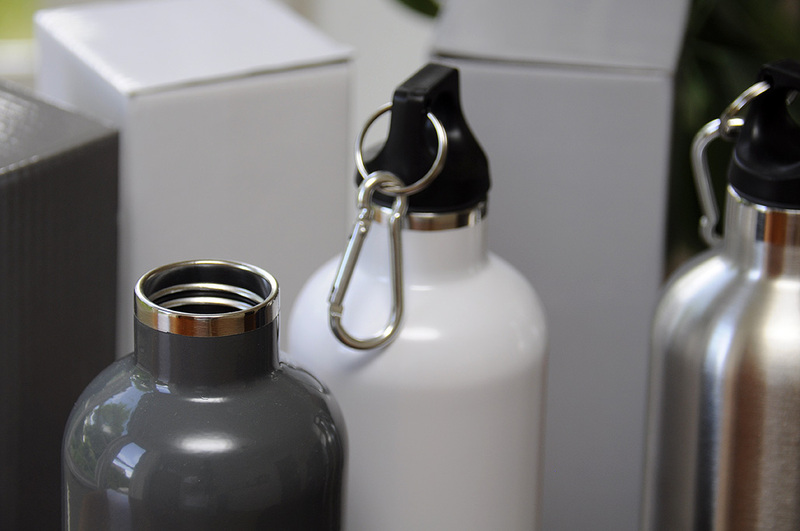 We are going to work this Futurepace Tech water bottle into the rotation for the Summer and see how it performs for both cold and hot beverages. Should have the InTheWild results in the Fall.